If we want the Word of God to come alive in our lives, we need to do more than listen to it on Sundays. We need to incorporate the Word into our everyday life and prayers. On Sunday, December 30, 2018, Pastor Chad takes a passage of scripture, applies truths and principles to our lives for the upcoming new year, and prays through it together as a body of believers. Christmas time means a lot of different things to a lot of different people. Even at the very first Christmas, not everyone looked forward to Jesus' birth. There was a lot of unanswered questions and uncertainty that caused people to be hopeful, worried, or even threatened. 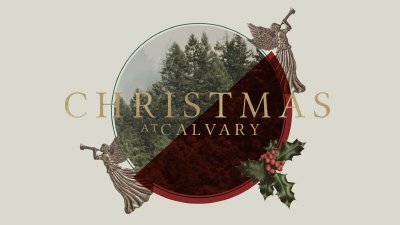 On Sunday, December 28, 2018, Pastor Chad Gilligan takes a look at the first Christmas and ask the question who is Jesus to you this holiday season. As children, we looked forward to Christmas all year long. The sparkling lights, the fun times with family, the nostalgic Christmas movies, and all of the presents, we just couldn't wait. You don't have to miss out on the anticipation of Christmas as adults. On Sunday, December 16, 2018, Pastor Chad Gilligan wants you to recapture the wonder of Christmas as we wait for God's promise of hope and peace.